Under the leadership of Music Director, Serge Koussevitzky, the BSO gave the American premiere of the Ninth Symphony on July 25, 1946 at Tanglewood. 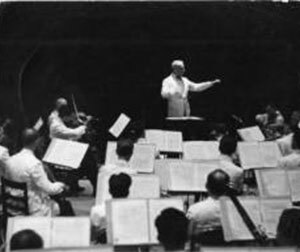 Two weeks later, on August 10, 1946, Koussevitzky and the BSO repeated the Ninth, at which time the work received its American radio broadcast premiere. 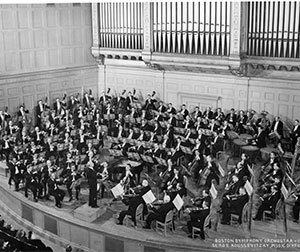 Following the Tanglewood performances, BSO Music Director Serge Koussevitzky opened the BSO's 1946-1947 Symphony Season with performances of the work at Symphony Hall, October 4-8, 1946, followed by performances in Cambridge and Providence. 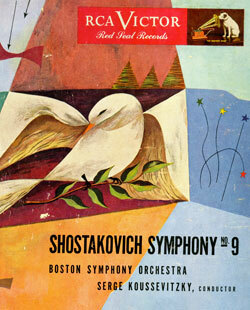 The BSO recorded the Ninth Symphony on November 4th for the RCA Victor label. A second recording session was added on April 2, 1947, because Shostakovich disagreed with Koussevitzky's interpretation of the second "Moderato" movement. 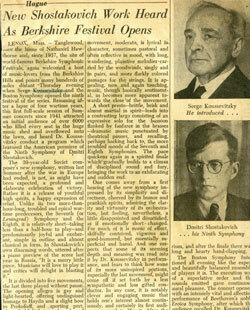 CLICK HERE to view the BSO's performance history of Shostakovich's Symphony No. 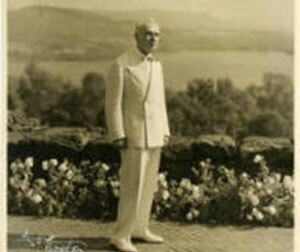 9 in HENRY, the BSO's Performance History Database!